This lesson needs to be done through the website online. It will teach you how to get to upload your logo as well as complete basic account setup. 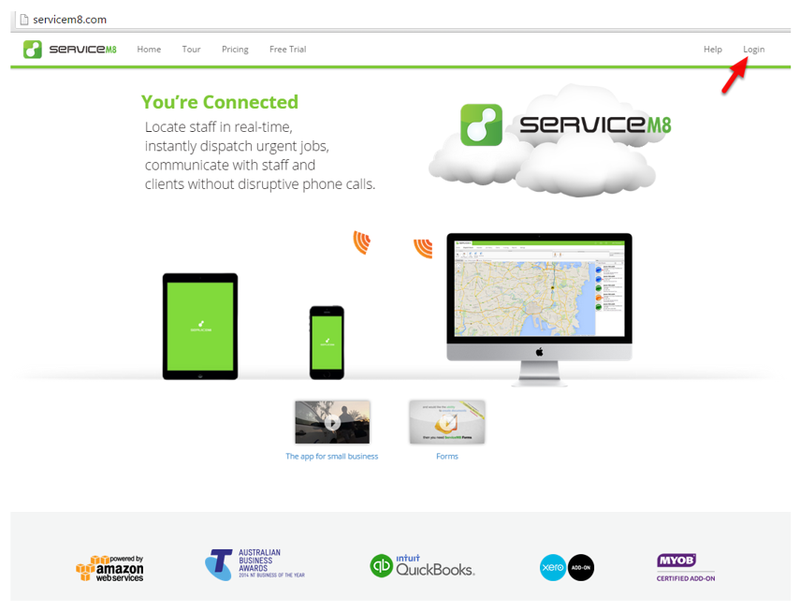 Setting your business up in ServiceM8 is easy but it does require the use of a PC or Mac as it can't be done through the app and the website doesn't work through an iPad or iPhone. Enter your login details and click Login. Use the email and password that you used to create your account on the app. This brings you to the account setup wizard. 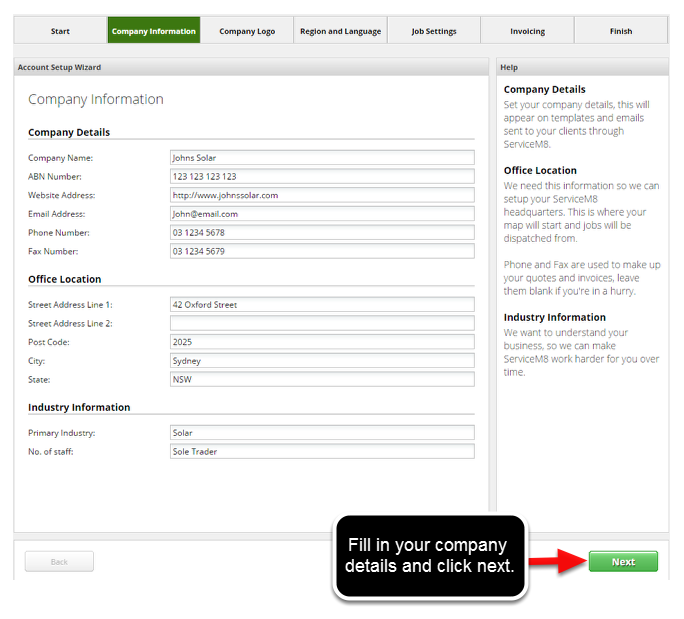 Fill in and correct your company details. This step is where you upload your logo. 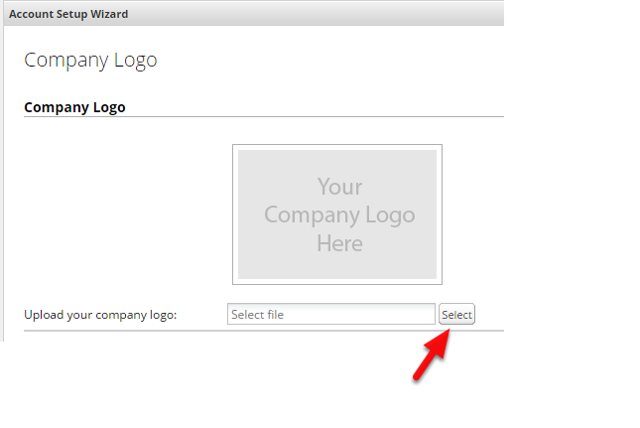 Click Select to browse and upload your company logo. Finish the rest of the wizard. Complete the rest of the setup wizard. Use the help on the right hand side for any fields you are unsure of. That's it. Your account is now setup and company logo uploaded. The next step is to setup your invoice and quote templates here.